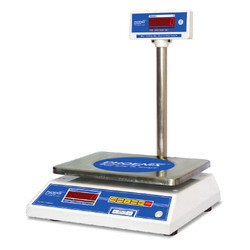 Offering you a complete choice of products which include npw series tabletop scale, new series tabletop scales, ne series tabletop scale, nes series tabletop scale and smart series tabletop scale. USB host port (to transfer data on Pen Drive). 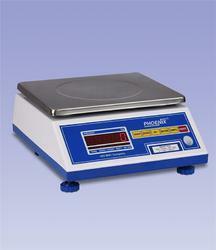 3 Big LED Indications(for check weighing). 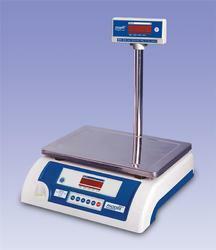 Extra display (at the back side of the scale or rod type ) . Red bright LED display / LCD display(21 mm) with backlight. Compact, light weight & portable. 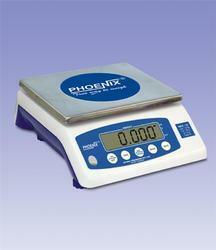 Operates on 1.5 V x 4 'UM-2' or 'C' size batteries (supplied with scale). Extra display at back side of the scale. 6 V, 4.0 AH rechargeable SMF battery. 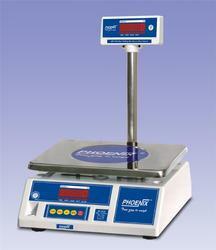 Extra display ( at the back side of the scale or rod type display).